Smartphone devices are compact computers that are designed to hold various useful data in the smaller device. Here, these devices store personal pictures & videos, important documents, contacts, and lot more useful data. When we have mass smartphone device market, we canâ€™t ignore the data security of the users. Here, users are prone to various types of malware threats that are releasing on almost every day in new form around the world. The best way possible to deal with malware threats is considered to be using reliable anti-malware programs for effective results. In this article, we have reviewed one such effective tool for Android called â€œSystweak Anti-Malwareâ€. Intuitive & User-friendly App: This smart app is powered by an intuitive & user-friendly interface to deliver instant and accurate results. This nifty tool displays all functions and results in simple manner for better understanding. 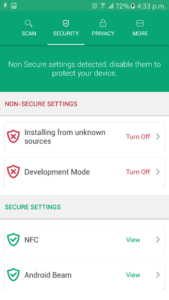 While displaying scan results in an interactive manner, it turns your device background color green with message â€œYour device is Protectedâ€ when it doesnâ€™t find any malicious content on your device. In case it finds something malicious during scan, it will turn your device background color red with message â€œMalware Detectedâ€. This interactive display is useful to understand the scan results instantly to follow corrective measures. Further, you can press â€œView Scan Resultâ€ button to view the scan results. Here, you will find all apps that are found malicious on your device in a list preview along with malware type mentioned next to them. Here, you find a â€œClean Malwareâ€ button that is useful to instantly control and manage all malicious apps on your device. Once you click this button, all malicious apps will be removed from your device instantly. Security Options: Systweak Anti-Malware works as an impressive tool to help you manage all malicious apps on your device. 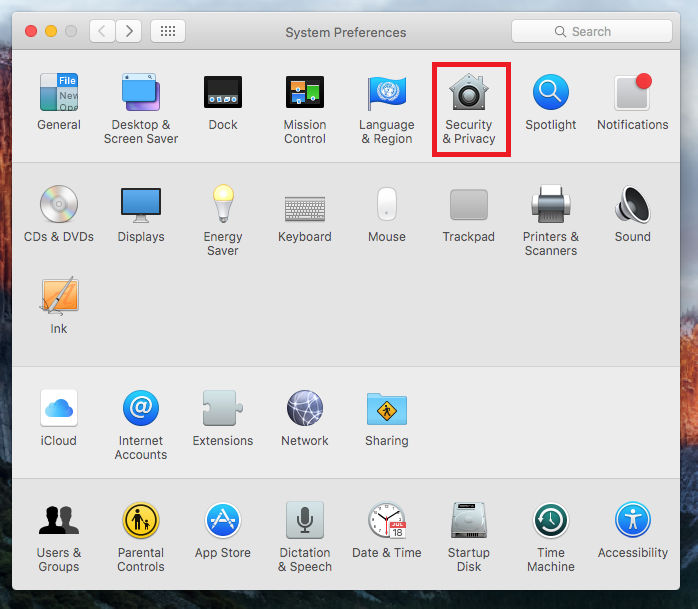 Further, it helps you to manage various non-secure settings on your device to offer you better security. Here, it helps you manage various non-secure settings like installing from unknown-sources, developer options, near-field communication (NFC) and Android Beam. You can click on any of these options to manage or disable them instantly from within the app. Privacy Options: App not only helps you to manage security features but it is also useful to protect your privacy. Here, it displays an interactive report of all permissions obtained by various apps on your device. 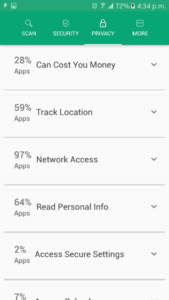 It is useful to view and manage unnecessary permissions acquired by different apps on your device. Scan Options: Under scan options, you will find Quick and Deep scan mode. 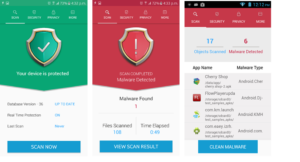 Under Quick scan mode, app will scan all installed apps on your device to find and remove malicious content. 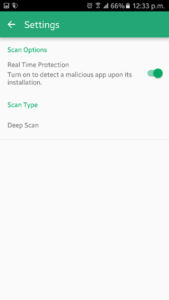 Under Deep scan mode, app will scan all APKs on your Android device no matter they are installed or not. Real-time Protection: Systweak Anti-Malware offers real-time protection to your device from all malware threats. Here, it will block downloading of any malicious app in real-time. This is an effective feature of the app that helps you secure from virus threat at the initial level. Whitelist: You can Whitelist any of your app/s on your device to avoid its scanning for malicious content. You can use Whitelist feature to keep your personal apps untouched. Scan History: As the name suggests, it displays scan history of all scans performed on your device using this app. It is useful to get a better insight on various virus threats. The Verdict of the App: Using Systweak Anti-Malware for your Android device, you can keep it safe from all known and unknown malware threats effectively. Here, it not only helps you protect your device security but it is also useful to keep your privacy intact. Further, it offers real-time protection, Whitelist option, scan history and lot other useful features for better management of your data on the device. 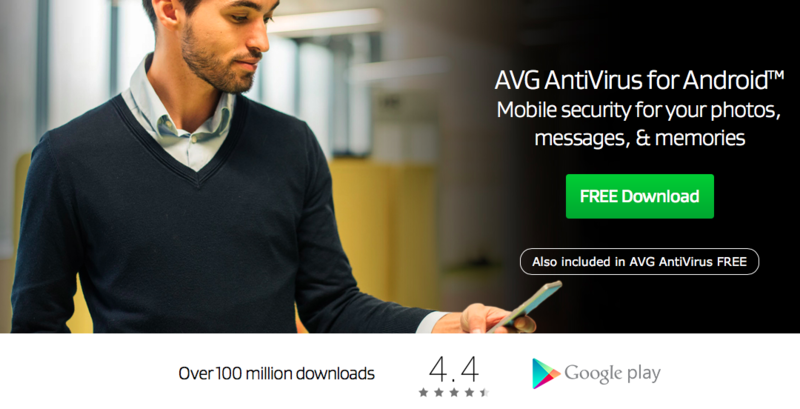 We suggest you this app to keep your Android device safe and secured from all virus threats.